I am a fan of ReNew Life’s natural, herbal supplements because I have used the probiotics, herbal cleanses and digestive enzymes, all with good effect. I first became aware of this product line when my young daughter was diagnosed with severe asthma, eczema and allergies. Her pediatrician and pulmonary specialist recommended supplementing her diet with high quality probiotics and digestive enzymes every day. I became fascinated with learning more about how the digestive tract can have such a major impact on the body’s functions. After my own personal experience of providing natural supplementation to my daughter (and our entire family) and seeing the positive results, I am passionate about promoting digestive health education and so is ReNew Life®. Make your diet a healthy diet. A daily diet rich in high fiber, low in processed carbs/sugars, along with taking an all-natural probiotic supplement, will help to ensure you take successfully comfortable poops. Supplement a dose of antibiotics by taking an all-natural probiotic supplement within 2-3 hours. Turn an upset gut into a healthy gut. Daily exercise = a healthy metabolism & digestive system. Sit idle throughout the day and you’ll find yourself straining while going #2. Taking 2-3 proper bowel movements a day is not just a goal, it should be a way of life. Lead by example and champion the cause! Yes, I know that many people are cringing right now because discussing bowel habits can be quite uncomfortable (literally) but in my opinion it really is important to promote the overall well-being of our young adults and I think it is great that ReNew Life has this PSA education initiative (it’s good for us older folks too). This formula is very pleasant and mild tasting and I take 4 teaspoons in the morning and then sip it as a relaxing hot tea in the evening. I appreciate that this product does not contain GMO’s, yeast, fillers, binders, preservatives or artificial ingredients. 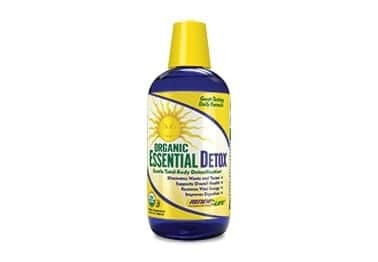 Though it does promote elimination naturally, it did not cause me to have any unpleasant side effects and overall I have been very pleased with the use of this product. You are invited to visit ReNew Life® to learn more about the entire product line and it is a treasure trove of information about digestive care. I always look forward to listening to founder, Brenda Watson talk about various health and nutritional topics and you can too. i always tell my oldest constipation is the root of all evil…LOL! my daughter britainy has ibs, and suffers from freq bouts of constipation. we used to have her on a regimen of fiber and prune juice, and that worked usually. as she has gotten older (she is 20 now) she has figured out what triggers the cramps ect, but this would be great for her to try! thanks for the giveaway! I wish I had a cute or funny story to tell but unfortunately I don’t. I’m the constipation Queen…. Hmm I don’t really have a poo story! Which is good I guess! I always tell my little girl how important it is to eat vegetables to have good poops. When she was on the potty having a hard time she called out to me to bring her some carrots right away! I always tell kids to stay healthy and have healthy poops they need to eat right. I would love to win this! My earliest memory of poo was using my cool potty chair and refusing to let my mother dump iy because I wanted to proudly show it to Daddy when he got home from work. I own a senior adult care home for dementia patients…. I wish my poo stories were funny, lol!! I don’t have kids, so I don’t have any funny poo story unfortunately. I really do not have any cute stories too tell, I thought about this for about an half hour and nothing came to mind. Ever since I had my daughter poo is a topic of daily conversation. Fiber has helped my kids.